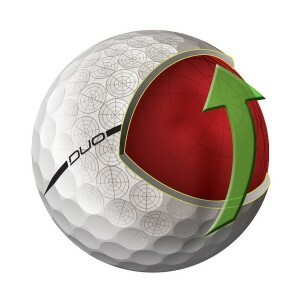 Golfers with lower swing speeds sometimes may find themselves with an unforced handicap to their games by using a ball that doesn’t perform well at the speed with which they swing the club. The Wilson Staff Duo is specifically designed for those players with the additional benefit of selling for around $20 per dozen. The Duo is a two-piece, Surlyn cover distance ball with less than 40-compression or as the company puts it, “crazy soft.” This translates to more distance with the driver and a soft feel around the greens.